Toronto After Dark returns to the city next week, and organizers have just unveiled the final list of horror, sci-fi and action films that will be taking over the big screen. Amongst the latest titles to be announced are Overlord, You Might Be the Killer, The Dark, I'll Take Your Dead, Lifechanger, Extracurricular, Robbery and I Am Hero, many of which will be making their international and Toronto premieres at the festival. Those films join a list of previously announced titles including Anna & the Apocalypse, Tigers Are Not Afraid, Satan's Slaves, Prospect, The Inhabitant, The Ranger, Mega Time Squad, Nightmare Cinema, Luz and Prey. There are also 34 short films on the bill, some of which will screen prior to feature length films, and others that will be shown as part of the Canadian Shorts After Dark Showcase and the International Shorts After Dark Showcase. The festival runs from October 11 to 19 at the Scotiabank Theatre at 259 Richmond St. W in Toronto. 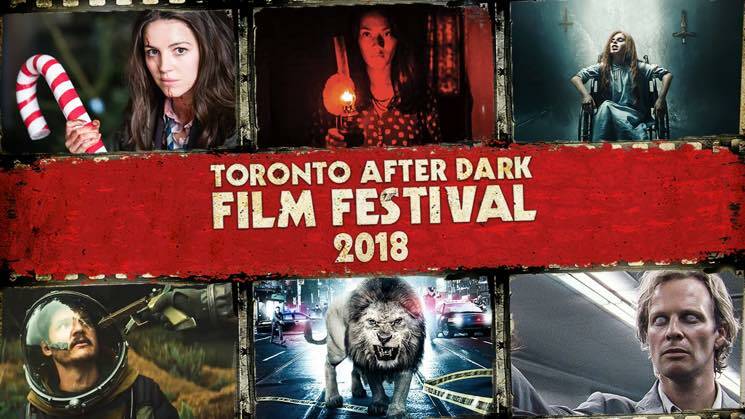 For the full schedule of screenings and ticket options, check out the official Toronto After Dark website.